Bark is a simple way to impress and share treats. Chocolate is never turned down especially when it is beautiful. 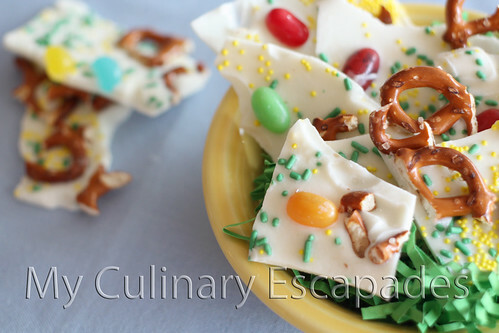 I have made bark several times before on the blog and it is such a crowd pleaser. 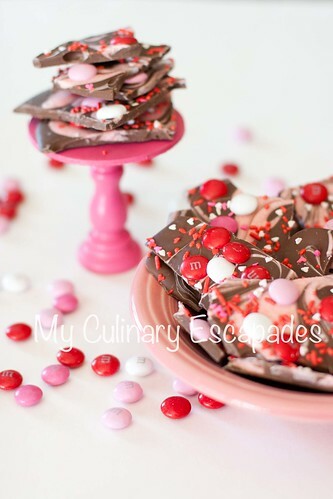 This bark has M&M candies and white and brown chocolate along with some valentine sprinkles. Once you have both of your chocolates melted spread the brown chocolate onto your parchment paper. I like to make mine about 1/4 inch thick so that it isn’t too brittle. You can spread it using an offset spatula or anything that you like to use. I personally prefer the offset spatula but if you use a butter knife it won’t mess up the recipe. Place spoonfuls of the pink chocolate around the brown chocolate. You must work fast at this point because if the brown chocolate hardens before your get the pink on you won’t be able to swirl it. That is why I urge you to melt both before you get started. Using a clean butter knife start at one end of your chocolate and make a curved zig zag formation. 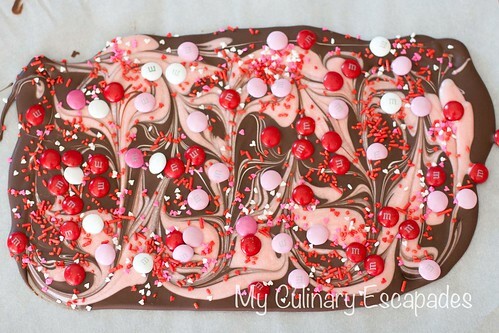 Lift knife from chocolate and then zig zag the other direction until both of your chocolates are a beautiful swirly pattern. 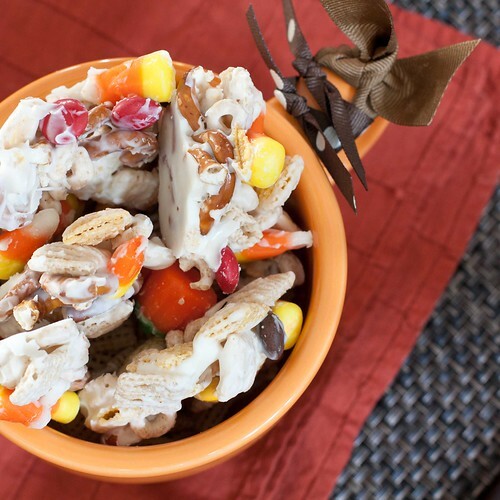 Sprinkle with your M&M candies first and then quickly follow with your sprinkles. If you allow the chocolate to cool to much these items will not stick.